"An actor is at most a poet and at least an entertainer"
Acting is his passion and has always been. Lalu Alex entered the film industry in the late 1970s to pursue his passion for cinema doing villainous roles. Trusting an actor known for villainous role to tackle comedy role is really a make or break situation for the director: either it is done well or it does not work at all. Lalu Alex offered a certain effortless charm that worked equally well in character roles and sinister ones. Renowned as a perfectionist with an ability to charm an audience, he portrayed endlessly diverse set of characters over a decade long acting career making him completely 'a director's actor'. Lalu Alex made headlines often because of his active involvement in social minded issues. He believes that serving the community outside your role as a film actor is a vital part of your work-life balance and has been consistently involved in social activities. He loves to remain in a truthful and spontaneous condition in both reel and real life. "the essence of acting is that you act like you are not acting"
Lalu Alex was born on 30th November 1954 in a Knanaya Catholic Family in Piravom, a beautiful village in Muvattupuzha Taluk, Ernakulam district, Kerala. Started his prolific acting career in Malayalam film industry at the age of 23 as a supporting actor in ‘Ee Ganam Marakkumo’ directed by N Sankaran Nair starring the iconic duo Prem Nazir and Adoor Bhasi. The depiction of Mathews, an eccentric police commissioner in the movie ‘Kalikkalam’ released in 1990 elevated his career and success graph to an entirely new level. His hilarious performance in that movie directed by Sathyan Anthikkad proved his mettle in molding himself into comedy characters. Growing recognition of his acting skills brought him a series of comedy roles and his witty mannerisms together with perfectly timed dialogue delivery got plenty of laughs from the movie goers. In 1981 Lalu Alex began what would be a lengthy and artistically fruitful partnership with the legendary director, I.V.Sasi in the film, ‘Thrishna’ – other remarkable collaborations included ‘Ee Nadu’ in 1982, ‘Athirathram’ in 1984 and Mrugaya in 1989. Lalu Alex made fourteen feature films together with I.V.Sasi over the 1980-89 period alone and enjoys the distinction of appearing in more I.V.Sasi films than any other Malayalam film actor. 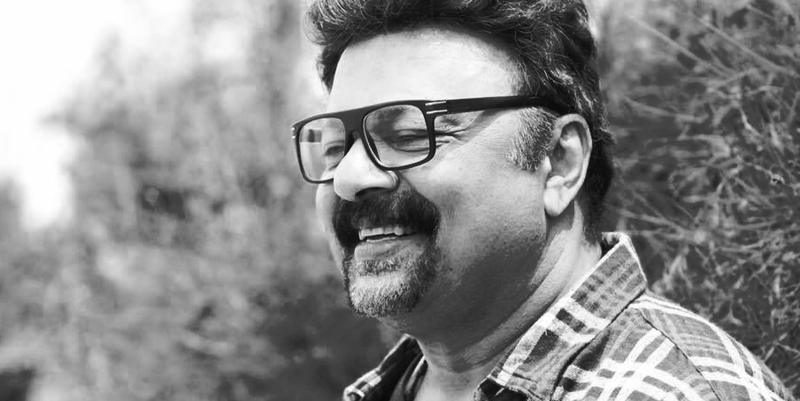 He has worked extensively alongside other acclaimed directors as diverse as Joshy, Sathyan Anthikkad and Balachandra Menon in the same period carving a niche for himself in the industry. This decade saw movies that dealt with the delicate side of human relationships such as Chronic Bachelor, Manjupole oru penkutty and Evidam Swargamanu, as he continued at his prolific best. He has gained wide spread recognition and critical acclaim for portraying ‘Aluva Chandi’, the antagonist in the movie 'Evidam Swargamanu'. The years haven’t bought any change in his high caliber acting. He has won the heart and minds of countless people through the finest bits of acting he did.